This month, get to know Ryan Wright, structural engineer of HDR. New to the Phoenix are, Wright is eager to use his connections within the architectural, engineering and construction (AEC) community to encourage more involvement within VYP and the Young Professional community. Question: What do you hope to gain from your experience as a new Valley Young Professionals (VYP) Board member? Answer: Being fairly new to Phoenix, I hope to take advantage of the opportunities of being a board member, as it will allow me the opportunity to meet new people in both professional and social settings. I also hope to help the group carry out its mission and meet its objectives. Question: What opportunities do you see in the future for young professionals (YPs) in the Valley? Answer: Entrepreneurial – YPs with a passion to start their own businesses, can take advantage of the continual demand for new and unique products and services. Regardless of the state of the economy, there will always be a need to improve current products and services, and/or create new ones that will improve people’s lives, and as a result will create a demand for more entrepreneurs. Political – As the inevitable shift occurs from one generation to the next, there will always be opportunities for YPs in politics, especially since current politicians recognize that they will need YPs to reach out to their generational peers in order to get their votes. Technological – Knowing that technology changes at a quickening pace, it’s an industry YPs can exploit since they would have grown up with technological devices all around them. These YPs will also have a better understanding of knowing what their counterparts are looking for as it relates to technological advancements. Mentorship – As YPs mature and become wiser personally and professionally, it will partly be up to them to help nurture and guide the next generation of YPs. Question: What experiences and perspectives will you bring to the board that you hope will be valuable to the VYP group? Answer: Leadership – It’s a personal goal to improve my leadership skills. I will use what I’ve learned from my role as the current chair of the young professionals group at my company and my involvement with the ACE mentoring program. 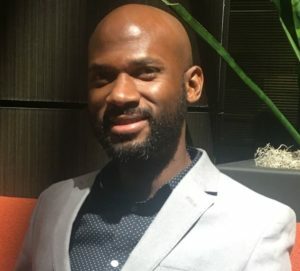 Network Opportunities – As an engineer who is active with organizations that include individuals from an architectural, engineering, and construction background, I could encourage young professionals from this community to consider becoming a member of the VYP and attend events hosted by the VYP. Diversity – I think diversity is important in any size group or organization. As a black male, and an immigrant from Jamaica, I think my perspective from these viewpoints can be of benefit to the VYP group. In comparison to most Americans, I believe my cultural background and upbringing will allow me to better relate to the opinions of other non-native Americans, and as result, will help avoid unconscious biases. I can then use this ability to advise the board on certain topics relating to cultural differences.